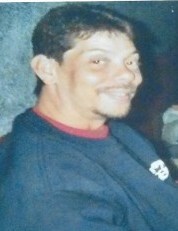 Mr. Jimmy O’Dale Allen, 48, of Lumberton, NC was born June 10th, 1970 and departed this life on March 29th, 2019. He is preceded in death by his paternal grandparents Johnny and Sally Allen, maternal grandfather Joseph McGirt, paternal uncle Wayne and maternal uncle Johnny McGirt. Jimmy leaves behind his daughter Jennifer Ann Allen; parents John Dell and Gertrude Allen, brothers Rodney and Dell John Michael Allen; nephew Arron Oxendine (Karlie) and special friends (Chris Miller and April Tharpe).